Forbes Magazine, well known for its lists and rankings, has cited Subic Bay as a top retirement destination in the Philippines. In its latest list of 20 best foreign retirement havens, Forbes ranked the Philippines at No. 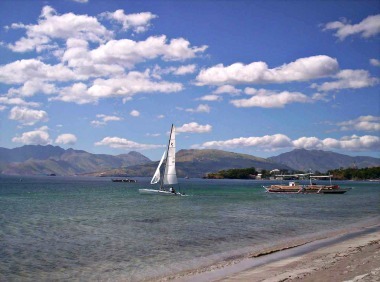 17, particularly mentioning Subic Bay as one of only two locations in the country that are popular retirement havens, the other one being Tagaytay. Subic Bay Metropolitan Authority (SBMA) chairman and administrator Roberto V. Garcia said Forbes Magazine bolstered the marketing efforts of the agency in promoting the Freeport as the best retirement haven in the country. "Subic is a very attractive place for tourists and retirees alike, providing both an eco-friendly environment and a cost-effective locality," Garcia said. "Aside from scenic views and friendly environment, Subic is a much secured area," Garcia said, noting that the Subic Bay Freeport is securely bounded by perimeter fences and has a very good law enforcement unit that is well-known for its expertise and alertness. Garcia added that Subic is also primed to push its advantage in medical tourism, having recently opened two world-class hospitals that cater to retirees and provide excellent medical services at very affordable rates. Forbes ranked the top 20 best foreign retirement havens in 2015 by looking into issues such as cost of living, cultural attractions and scenery, safety, tax matters (especially breaks for retirees), local hospitality, weather, availability of adequate healthcare and prevalence of English. In appraising the Philippines as a retirement destination, Forbes noted the appeal of the country to U.S. retirees due to its low cost of living in a tropical environment, and permanent residency that can be had on a minimal showing of retirement income. Popular locations include Tagaytay because of its cooler climate, and Subic Bay with an infrastructure from the old U.S. Navy base, Forbes said. International Living Magazine, an Ireland-based publication catering to retirees all around the world, also put the Philippines on the 17th spot in its shortlist of 23 best countries to retire in 2016.